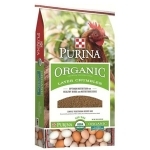 35 Pound Purina® Organic Layer Crumbles provide a balanced and complete diet with 16% protein for feeding organic laying hens. 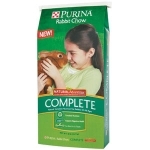 This product has been certified organic by the USDA. It is made with non-GMO ingredients that have been grown without the use of pesticides and fertilizers. Purina® Equine Senior® Active horse feed is a nutritionally balanced and specifically formulated for active senior horses that are easy to average keepers, have good dentition and have no major issues chewing or digesting hay or pasture forage. Feed form: Concentrated pellets and extruded nuggets. In 1991, Purina® Strategy® horse feed revolutionized horse nutrition by becoming the first commercial pelleted feed created for horses of all ages and lifestyles. Over 15 years and 600 million feedings later, it is still the gold standard in convenience, value and performance for horse professionals. 50 lbs. Start & Grow® Medicated Chick Feed 50 Lb. An 18%-protein ration perfect for raising laying chicks from hatch to laying age (18-20 weeks). This SunFresh® Recipe diet takes “natural” to a whole new level by using only the freshest, highest quality sun-grown grains and plant proteins to give birds the wholesome, healthy goodness and fresh taste they deserve. 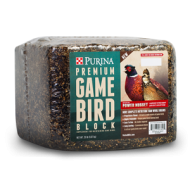 Made from natural plant-based ingredients FREE of all animal proteins and fats, it contains all the quality nutrients necessary to produce strong, healthy, beautifully colored birds. Available in medicated and non-medicated formulas. 50 Lb.